Hong Kong is the 5th largest export economy in the world and enjoys a positive trade balance of $7.96 billion after deducting annual imports of $498 billion from its export total of $506 billion. 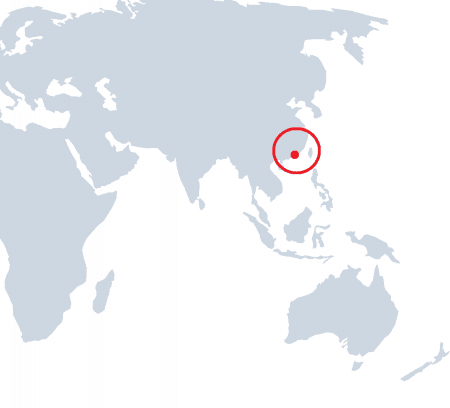 This former British colony became a special administrative region of China in 1997 and Hong Kong is governed under a “one country, two systems” principle, which means that China has given it a high degree of autonomy for at least 50 years from that handover date. The GDP of Hong Kong is $320 billion and that results in a GDP per capita of $58,600. The top export destinations of Hong Kong are China ($285 billion), the United States ($42 billion), India ($15.4 billion), Japan ($15.1 billion) and the United Kingdom ($11.2 billion). Annual global exports of gold total $324.6 billion and Hong Kong is ranked as the second largest exporter with a 16.7% market share. Hong Kong has managed to increase the value of its gold exports by 8.3% over the last five years, making it the fifth-fastest growing exporter worldwide. Gold represents 11% of the country’s total yearly exports. Diamonds account for 3% of Hong Kong’s annual exports and it is one of three countries, along with Israel and Belgium, who all have a 12% share of a global market valued at $128 billion. Only the United States (15%) and India (19%) export more diamonds. Top destinations for Hong Kong’s diamond exports are India (23%), China (21%), the United Arab Emirates (12%) and the United States (12%). The total value of global silver shipments is $18.2 billion annually and Hong Kong is the fourth largest exporter with a 8.3% share. The worldwide value of silver exports has fallen by 49.1% over the last five years and only one of the top fifteen exporting countries (China +21.2%) has managed to post an increase. Hong Kong is among one of the biggest fallers with a 56.4% drop in the value of its silver exports during the last five years. Hong Kong has a 5.4% share of an annual global export market worth $21.7 billion, making it the third-largest exporter of rolled tobacco. China is a major export destination for Hong Kong’s rolled tobacco shipments and accounts for 45% of its $1.16 billion annual exports of this product. Global platinum exports total $21.3 billion annually and Hong Kong is ranked as the eighth-largest exporting country with a 4.3% market share. The country has posted a rise in its platinum export sales of 22.7% in the last five years, one of only four countries to witness an uptick in the value of its exports of this commodity. Although Hong Kong has an iconic skyscraper skyline, 40% of the territory is actually a designated country park and nature reserve. Hong Kong boasts one of the highest numbers of restaurants and cafes per capita in the world.